FRESNO, Calif. (KFSN) -- The Tulare County Sheriff's Office needs help identifying a woman who was found dead near Strathmore last week, the department said. Authorities said the body of a woman was found in an orchard along the 18800 block of Road 244 last Thursday and could not be identified. There were visible signs of trauma on her body and detectives suspect foul play in her death. The victim is described as a Hispanic woman between 30 and 45 years old. She has tattoos of a sea horse on her right shoulder, a peacock on her left shoulder and the name "Bruno" on her right wrist. 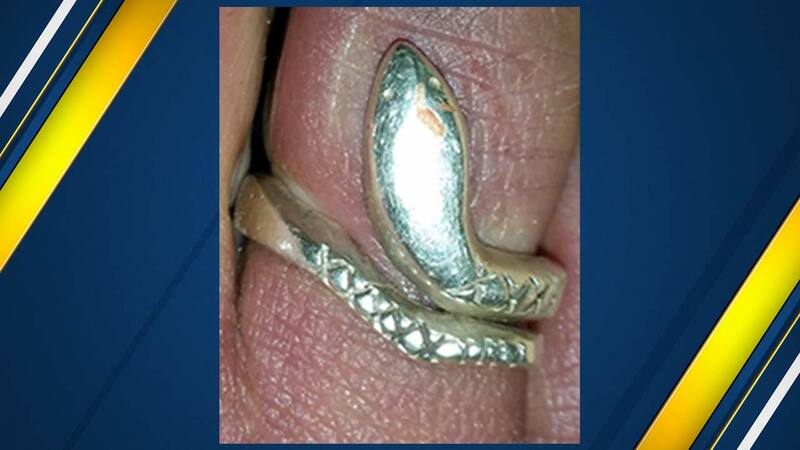 The victim was also wearing a distinctive ring that authorities hope will help identify her. Anyone with information is asked to contact the Tulare County Sheriff's Office at (559) 733-6218.